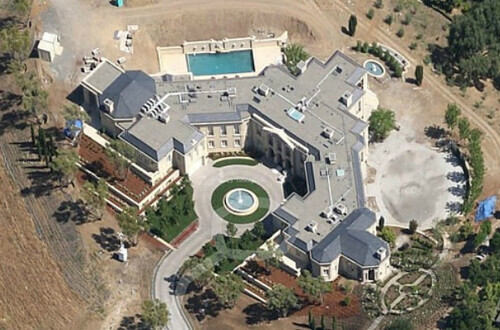 Last year, it was reported that the Russian billionaire Yuri Milner broke a lot of sales records in the state of California by purchasing a beautiful Silicon Valley mansion for $100 million, known as Palo Alto Loire Chateau. This particular assessment means that this Russian billionaire will end up paying over $600,000 a year in taxes to the state of California. To help put that into perspective, that $600,000 can actually buy THREE homes in various other parts of the United States at the national median price. This $600,000 a year will end up being a really huge revenue boom for the county in which the house sits in (Santa Clara County). This beautiful home is close to 25,545 square feet and features a 4,600 square foot guest house.